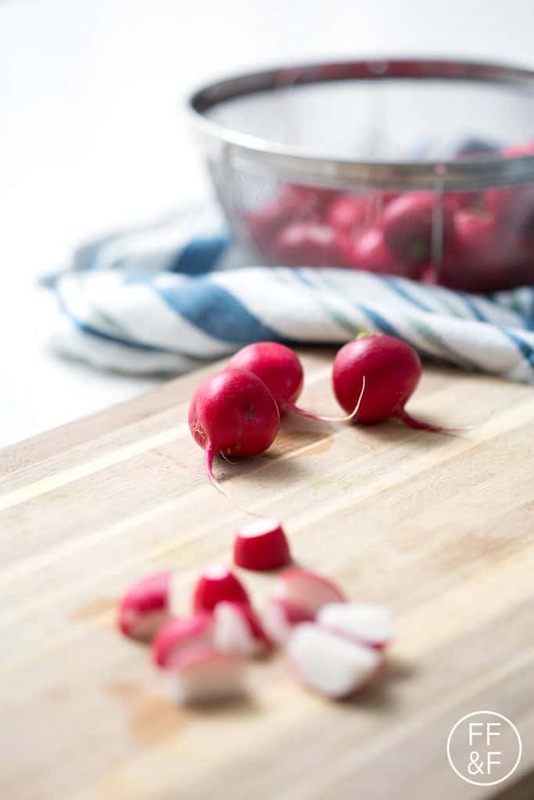 Raw radishes have a sharp, almost spicy flavor. Until recently, I hadn’t considered doing anything with radishes beyond eating them raw or pickling them. 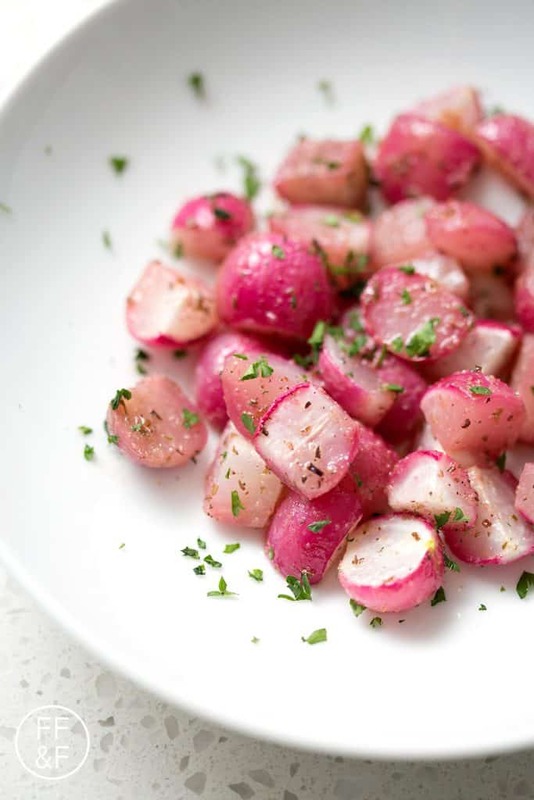 This Oven Roasted Radishes recipe completely transforms from spicy to sweet. It’s a completely different flavor and absolutely delicious. 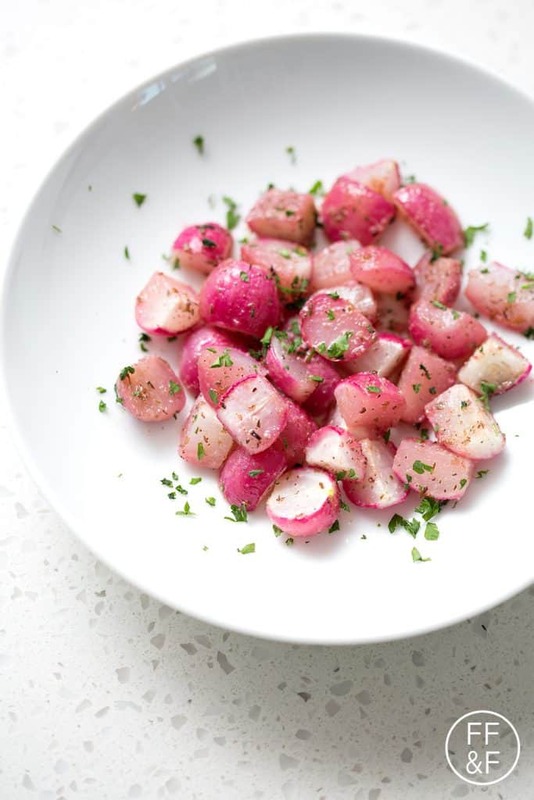 My father loves to nibble on raw radishes when I was growing up so they were always around. My dad used to sneak them into salads but I never really enjoyed the strong and spicy flavor. 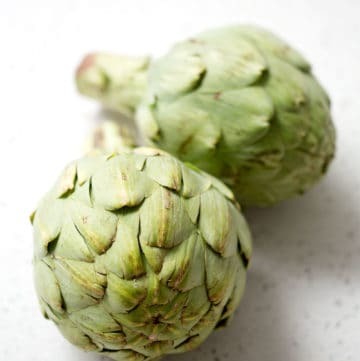 When I started the AIP diet, I realized that if I’m going to exclude so many foods from my diet, I needed to add in some new veggies. 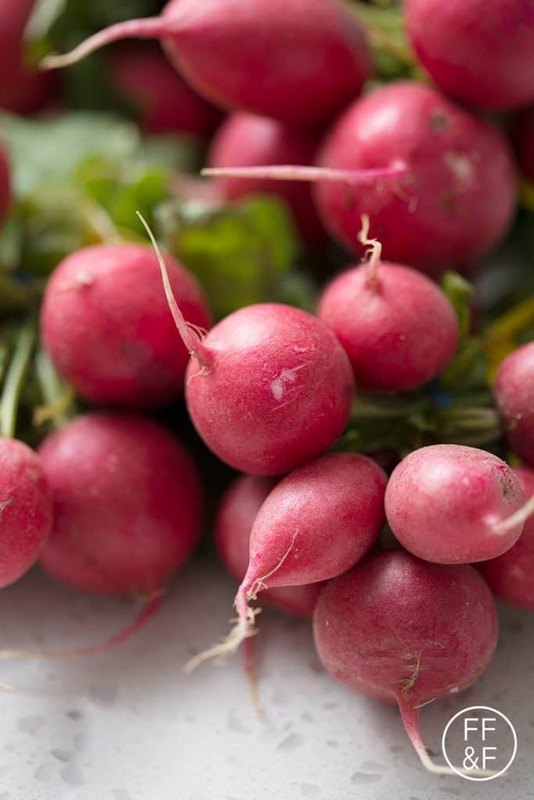 Radishes were one of those veggies I wanted to incorporate into my diet. I really wanted to love them but eating them raw just wasn’t an option so I tried braising them. 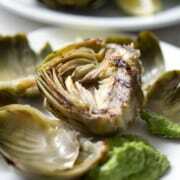 I loved them braised but it required more attention than I was willing to give. It’s hard to watch the stove while watching your toddler. Then I tried roasting them and it was just so much easier. 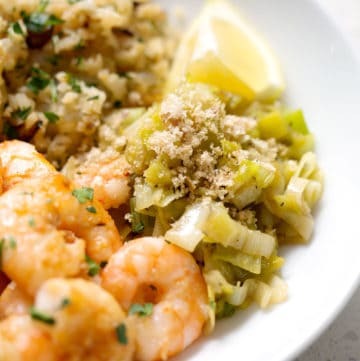 It’s one of those no fuss recipes that are totally satisfying. 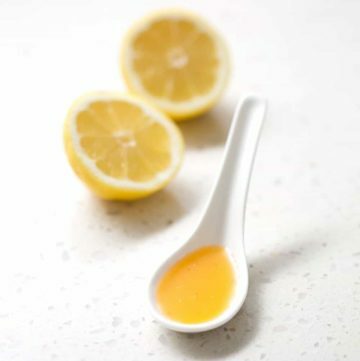 I used lard in this recipe but you could definitely use an oil of your choice. I used it because lard adds another flavor to the dish. It’s almost buttery. 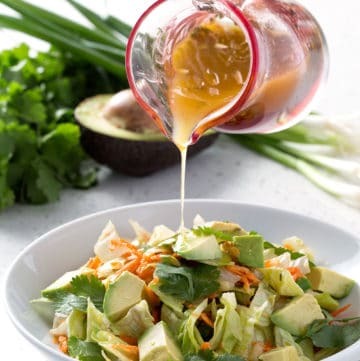 I liked the subtle flavor but it would still taste good if you use a more neutral oil like avocado or olive oil. 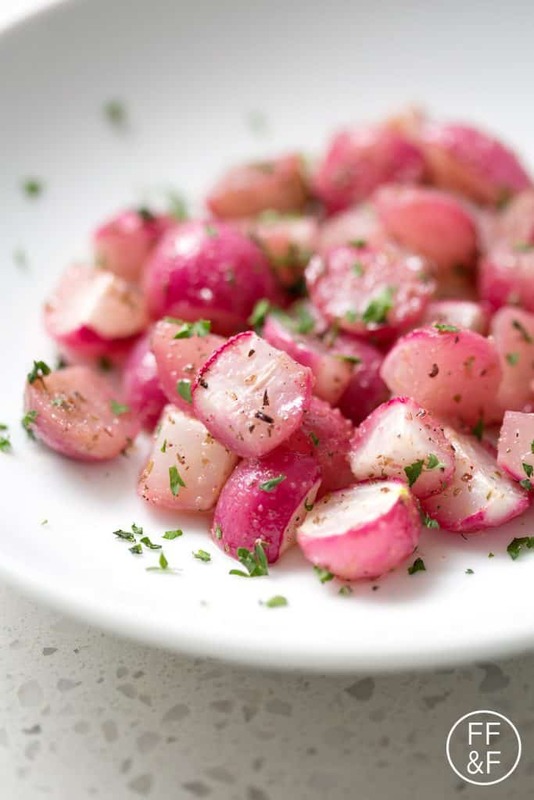 This Oven Roasted Radishes recipe takes advantage of the fresh produce from your garden. 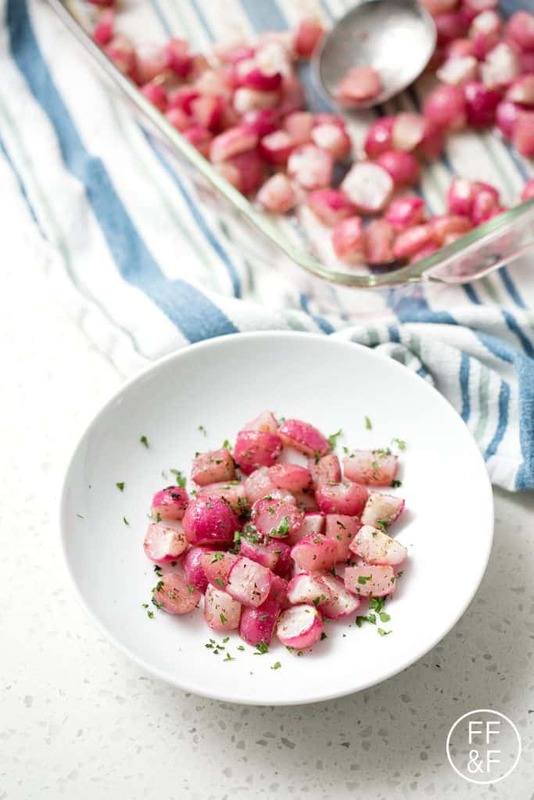 After roasting the radishes, they have an almost sweet taste that’s completely different from the sharper raw flavor. 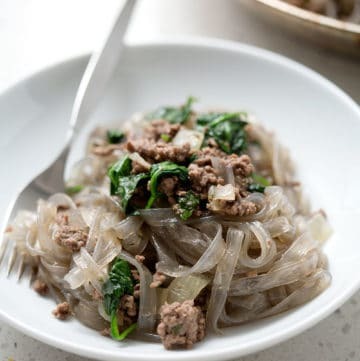 This recipe is allergy friendly (gluten, dairy, seafood, nut, egg, and soy free) and suits the autoimmune protocol, paleo and vegan diets. 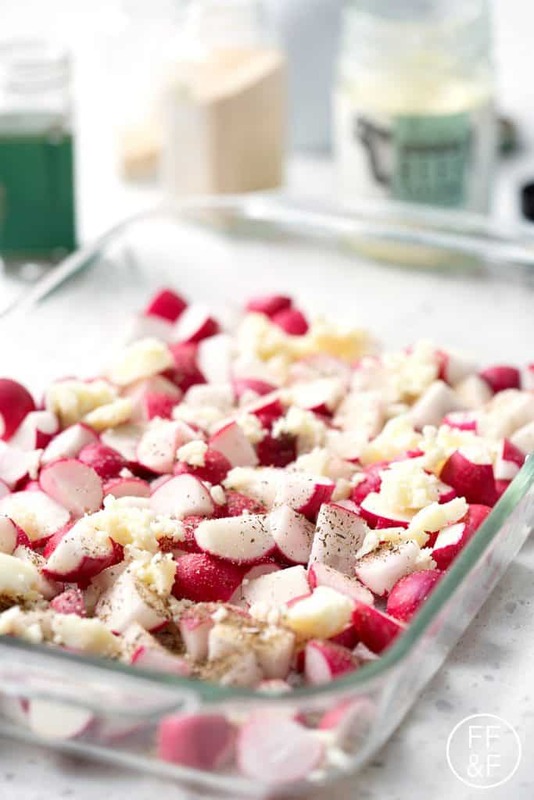 Add the radishes, lard, oregano, garlic powder, onion powder and salt into a 9×13 baking dish and toss. Place the baking dish into the oven and let roast for 10 minutes and then toss. Place back in the oven and let cook for another 10 minutes or until the radishes are fork tender. 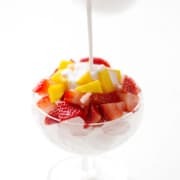 This recipe is apart of the Phoenix Helix AIP Recipe Roundup. 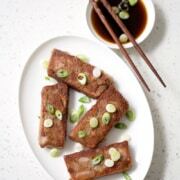 What a great spin on radishes! 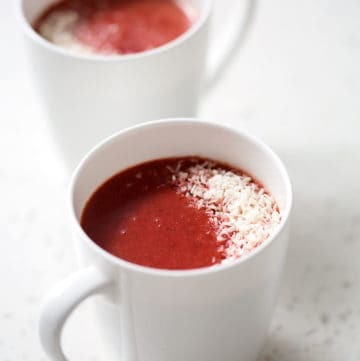 Thanks for linking up to the Paleo AIP Recipe Roundtable. 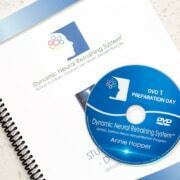 I hope you’ll join us again. Thanks!I’m glad you like it. I’ll be sure to post in the roundtable again soon.